Gold, among a selection of other precious metals, is one of the alternative investments allowed in a self-directed IRA. After 12 years of steady precious metals growth, which brought around 600 percent returns, the prices of gold dropped again in 2013. Investors can use these opportunities to stock up while the price was low. 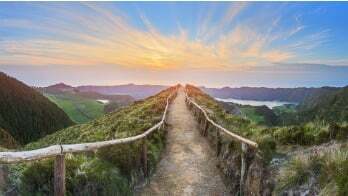 If you're interested in investing in gold when the prices drop, maybe you're wondering, "How many different ways can I invest with a Gold IRA?" Within each category, you will have numerous ways to invest towards retirement. 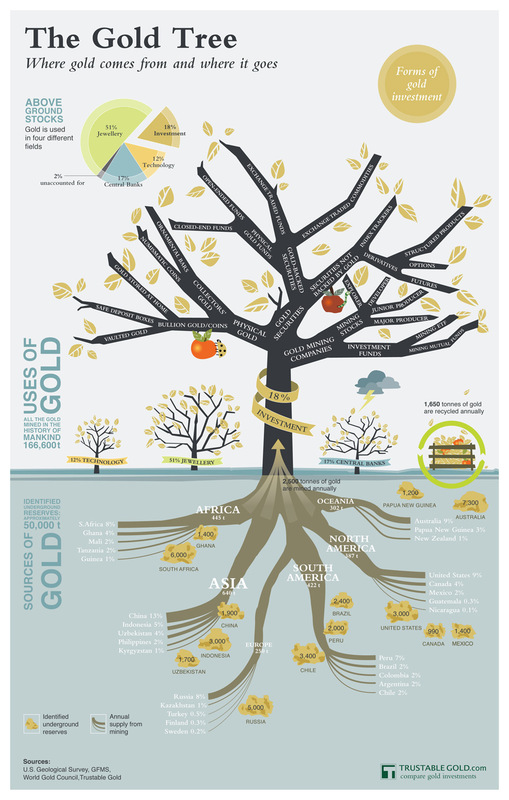 The infographic below outlines the various Gold IRA investment opportunities, as well as a conceptual map of where the world's gold can be found. 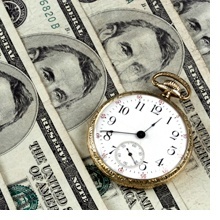 Keep in mind that there are some restrictions when it comes to physical gold investments in your self-directed IRA. For example, "gold stored at home" and "collectors' gold," as listed below, are not allowable holdings in a retirement account. For a complete list of precious metals allowed in a Precious Metals IRA, please visit our Precious Metals Service Center, specifically designed for Gold IRA investors. Previous [Infographic] Self-Directed IRA FAQ - Who is a Disqualified Person?